Packing your belongings is time consuming and packing correctly is an important part of a successful move. Proper packing can help protect your possessions and ensure that all of your most precious possessions will arrive safe and sound to their new home. Professional packing can also reduce the time and effort needed during the actual move. Finally, great packing also means that unpacking and setting up your new home will be much easier. At Isaac’s Moving and Storage, we offer a complete range of packing and unpacking services for your move to our valued customers. Our expertly-trained team will do all your packing for you. We will clear your closets, pack your kitchen, empty the basement and collect the bicycles in the yard. All items will be professionally wrapped, padded where necessary and labeled in custom sized boxes. Some items are too big, too delicate or just too much for you. If you have a few items that are difficult to pack or require special attention, we can take care of them for you. 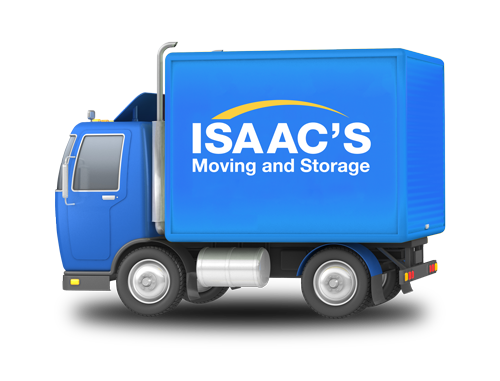 The Isaac’s team will professionally pack and move those remaining items for you. We always put each box in the right room, and if you need, we can unpack all your items and place them as well. This includes rebuilding furniture, hanging light fittings, hanging clothes and more. That’s fine too – Isaac’s Moving and Storage is happy to provide you with packing materials or any advice you might need about how to pack. Ask us about specialty boxes, supplies and box delivery. Why Let Us Pack and Unpack for You? Peace of mind – know that your household will be properly packed.